Christmas week FREE kindle edition! IT’S RAINING REINDEER is a story told in the form of a song about an unfortunate mishap with Santa’s sleigh. With toys scattered everywhere and elves falling through the air, will Santa be able to deliver all the toys in time? This edition includes the poem with illustrations, melody with big notes, and arrangements for Two-Part voices with piano accompaniment and Three-Part Mixed voices with piano accompaniment. Don’t miss out! Grab your FREE copy before time runs out — and help spread the word to the kids in your life, especially those who have keyboards & pianos! Things are quite strange over at Danforth & Rabeena’s house. This Christmas, they’re dealing with cows and leprechauns. Not to worry though; Olivia the maid is fully prepared for her “cow poop cleaning duties.” Like the reindeer situation, it too is FREE for Christmas, so be sure to nick a copy of Amazing Tales of Danforth and Rabeena: Cows for Christmas today! Elephant guns, foggy mishaps and other harrowing ordeals are gathered in this weathered journal you’re now holding. 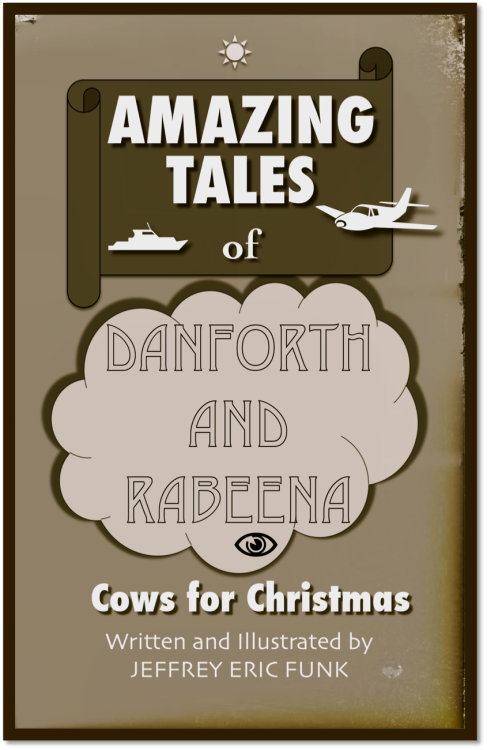 Grab your bookmark and cozy into Amazing Tales of Danforth and Rabeena: Cows for Christmas. From the composer of Glee Club Smarties™ comes a sea shanty for mixed choir (SATB), men’s choir (TBB) and women’s choir (SSA/opt. Two-Part) with piano accompaniment. 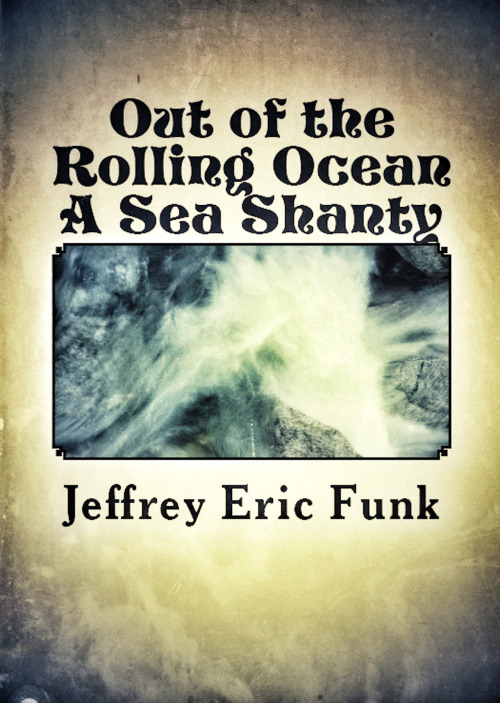 “Out of the Rolling Ocean” will lull whomever hears it like a siren’s song in the night. Adapted from the poem, “Out of the Rolling Ocean the Crowd” by Walt Whitman. Written and composed by Jeffrey Eric Funk. 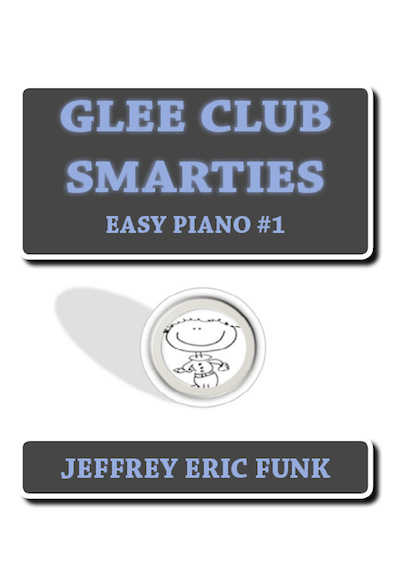 JEFFREY ERIC FUNK is the composer, lyricist and creator of Glee Club Smarties™ A New Musical. He owns the record label and music publishing company, WHISPER THE NAME JEFF FUNK (ASCAP).